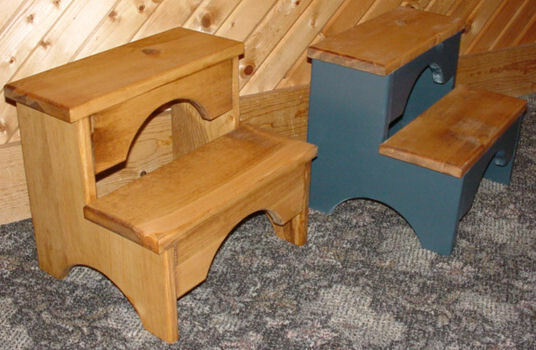 We have been making these Two Step Stools for a long time. We have made them from Pine, Oak, Cherry, and Poplar. They are sturdy and stable.